Our organization has gained a formidable position in this domain by offering Honing Machine Reconditioning. We offer Honing Machine Reconditioning Service to our clients as per their requirements and at affordable rates. No matter who built your tower and when, Southern Cooling towers offers the genuine replacement parts and reconstruction services needed to keep your cooling at its best. Bühler’s experts can recondition machinery and equipment made by any manufacturer. We offer a range of upgrade and expansion packages, ranging from a basic service to full reconditioning to the latest specifications – naturally, all tailored to your specific needs. We are consistently engaged in offering Machine Reconditioning Service. Professionals keep their knowledge up to date with changing technology to repair each type of machine. Customers may obtain this from us in simplest way and at affordable price. Service Provider: Vaishno Mechanical Works. As per client need, we are involved in presenting an exclusive range of Machinery Reconditioning Service. We are offering Hydraulic, PLC, HMI, SCADA based control solutions that can replace older low productivity systems that can cause service headaches, produce poor quality parts. 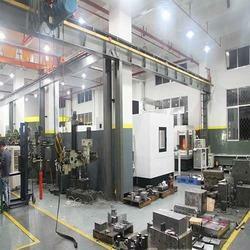 We provide users with upgraded machines that reduce machine downtime & produce high quality parts. As per the needs and demands of the client’s, we are engaged in providing Embroidery Reconditioning Machine Services. These services are executed by our team of professionals by utilizing fine quality material and latest techniques. We provide our services at most affordable rates. 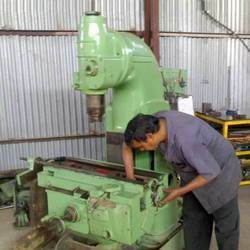 We bring forth vast industrial experience and expertise in this business and are involved in providing Grinding Machine Reconditioning Service. Service and Re-conditioning of any type of granite block saw cutting machine , edge cutting machines, polishing machine, etc at any conditions., . Spares for a ll the granite processing machines. We offer Servicing and reconditioning of Earth Moving Machinery, Cranes, Mining Machinery etc. Backed by our team of technical experts, we are also engaged in offering machinery reconditioning services pertaining to the machines. With huge clientele assistance and industrial understanding, we are engaged in offering HMC Reconditioning Service. Rendered beneath the supervision of highly able executives, these are largely commended all over the country. Moreover, our ability to alter them as per our patrons’ demands makes these highly well-liked.